The Guyana Postal and Telecommunications Workers Union (GPTWU) has written to President David Granger seeking his intervention in the payment of GYD$600 million in outstanding gratuities to retirees of the country’s oldest telecommunications company. 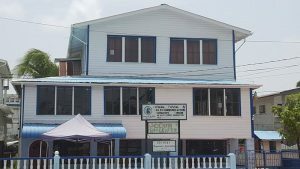 Union President, Terrence Shepherd told Demerara Waves that a letter was dispatched to the Guyanese leader after the matter was raised with him during his visit to the GPTWU’s headquarters on East Street on Labour Day- May 1, 2017. “The union has since dispatched a letter to him… supplying all the necessary documentation as it relates to the communication between union and the Ministry of Finance,” Shepherd said. While the union welcomed the move in 2016 to increase the pensions from the minimum amount of just over GYD$20,000 to one in keeping with the positions that they had retired from and the current salaries being earned by current similar office-holders, the union said they now want increased gratuities. 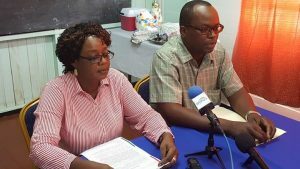 Shepherd said calculations done a few years ago had showed at the then time that an estimated 200 pensioners had been owed a total of GYD$600 million in gratuities. No, the number of pensioners is about 170. Secretary to the Treasury, Dr. Hector Butts is also said to be addressing concerns about discrepancies in the pensions and the need for gratuities to be paid. The GPSU President said he was unaware of “any major concerns” about the calculation of some of the pensions. “At least that information was not shared by the President of the (Pensioners) Association. We are not aware there is any major issue with the calculation of the monthly pension. If that is so, we would ask those individuals to come forward and let us know. Just before the then state-owned Guyana Telecommunications Corporation (GTC) had been sold to the United States-based Atlantic Tele-Network (ATN) in 1990, the government had agreed that all of the benefits of the existing employees and those who would have taken up new positions with the Guyana Telephone and Telegraph Company (GTT) would have remained intact and there would have been no break in service. However, retirees had found themselves only drawing down the minimum monthly government pension from the Ministry of Finance. The matter had remained unresolved for several years and had been stuck at the level of the Finance Ministry and the Privatisation Unit/ National Industrial and Commercial Investments Limited (NICIL). One year into the term of the coalition-led administration, the pensions were adjusted resulting in most of the retirees receiving a much higher sum in keeping with the salaries of current office holders at GTT.